Conservation Status: NT near threatened. 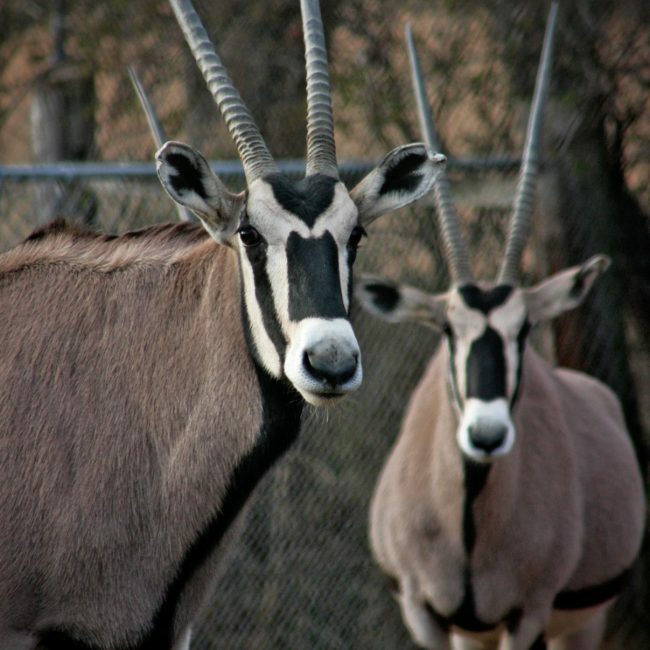 Both male and female Beisa oryx have horns that can reach 2.5-4 feet long and both have grey brown in color with black stripes and patches. Babies are born tawny brown. Beisa oryx can conserve water by allowing their body temperature to reach 116 degrees before they will begin to perspire. They live in small family groups led by the alpha cow with the alpha bull bringing up the rear.